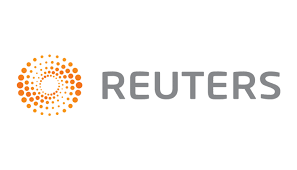 Court sentences Reuters reporters to seven years in jail – Royal Times of Nigeria. 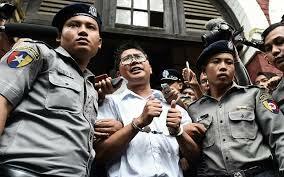 A Myanmar judge on Monday found two Reuters journalists guilty of breaching a law on state secrets and jailed them for seven years, in a landmark case seen as a test of progress towards democracy in the Southeast Asian country. Yangon northern district judge Ye Lwin said Wa Lone, thirty -two, and Kyaw Soe Oo, twenty-eight, breached the colonial-era Official Secrets Act when they collected and obtained confidential documents. “The defendants … have breached Official Secrets Act section 3.1c, and are sentenced to seven years,” the judge said, adding that the time served since they were detained on Dec. twelve would be taken into account. The two reporters had pleaded not guilty and told the court police planted documents on them in the course of their work in reporting on Myanmar’s violence-plagued Rakhine State. The reporters had told the court two police officials handed them papers at a restaurant in the city of Yangon moments before other officers arrested them. One police witness testified the restaurant meeting was a set-up to entrap the journalists to block or punish them for their reporting of a mass killing of Rohingya Muslims in Rakhine. At least fifty people were packed into the small court Monday, with many standing outside. Documents in their possession and on their phones were “not public information”. Wa Lone shook hands with supporters, telling them not to worry. Wearing handcuffs and flanked by police, he addressed a cluster of friends and reporters. Myanmar government spokesman Zaw Htay didn’t respond to requests for comment about the verdict. The verdict comes amid mounting pressure on the government of Nobel laureate Aung San Suu Kyi over a security crackdown sparked by attacks by Rohingya Muslim insurgents on security forces in August 2017. More than seven-hundred thousand stateless Rohingya Muslims have fled across western Myanmar’s border with Bangladesh since then, according to UN agencies. The reporters were arrested on Dec. 12, 2018 while investigating the killing of ten Rohingya men and boys and other abuses involving soldiers and police in Inn Din, a village in Rakhine State. But the military acknowledged the killing of the ten Rohingya at Inn Din after arresting the Reuters reporters. A UN mandated fact-finding mission said last week that Myanmar’s military carried out mass killings and gang rapes of Muslim Rohingya with “genocidal intent” and called for top generals to be prosecuted. Myanmar rejected the findings.